Dru has hand selected an undisputed core of A-List Musicians, each accomplished and celebrated in his or her own right, to create a true musical indulgence. The sound of BKS is fed throught the ruthless vocal blend of KathleenJohnson a.k.a. Druscilla,Michelle Carter, Shayde, And Brandon Hess. Collectively they have carved out careers working with artists such as Prince, Carmen Electra, Billy Holloman, Nachito Herrea, Alexander O'Neal, Lori Line, Billy McLaughlin, Artist Keri Noble, The Petersons, and The Steeles. Locally, they can be heard fattening up the sound sof Twin Cities hottest working bands. They Vine has performed in countless Twin Cities music venues, such as The Dakota, Bunkers, Minnesota Music Cafe, Famous Dave's, Rossi's, The Artist Quarter, The Cue at The Guthrie and more! 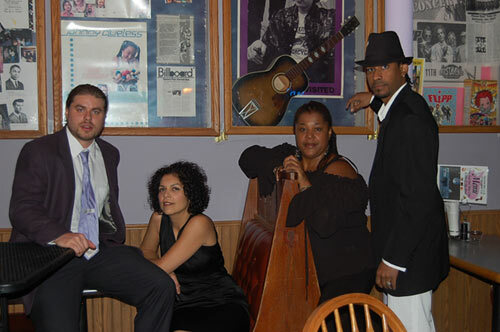 The group plays R & B, Jazz, Contemporary Jazz, Soul and Neo Soul, Funk, a variety of hit tunes and old 70's and 80's classics.